On Monday night I ran the trap in the garden on a relatively clear but warm night, the moon was up and at about half now and I wasn't that hopeful of anything much in the trap come the morning. To find 4 new for the year was a bit of a surprise, but numbers were still low with just 9 moths of 7 species. Finally something big arrived, a Poplar Hawk-moth. 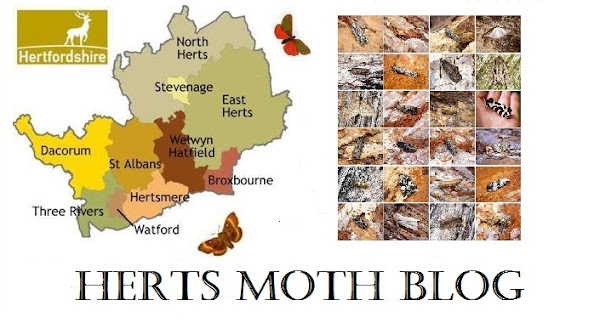 This time last year I had recorded 5 of 3 species of Hawk-moths!